Hardcopy of Vol. 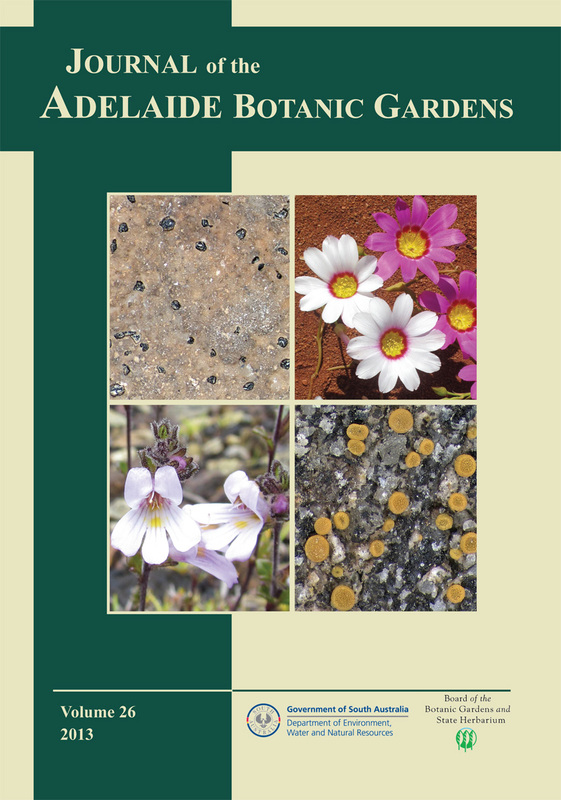 26 of the Journal of the Adelaide Botanic Gardens is now available. The volume has 105 pages and contains all eight papers that were published online during 2013. The Journal is now using the latest digital printing techniques, with many photographs, line drawings and one watercolour plate reproduced in full colour. Copies can be purchased for $25 from the Reception, Adelaide Botanic Gardens, Goodman Building, Hackney Road, Adelaide, or by phoning 08 8222 9311. Copies to our subscribers are currently being posted. 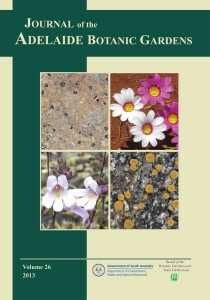 Please visit flora.sa.gov.au/jabg for the online version of the Journal, including contents for Vol. 26 and access to all back issues from Vol. 1 (1976). This entry was posted in Publications on 21 May, 2014 by Jürgen.